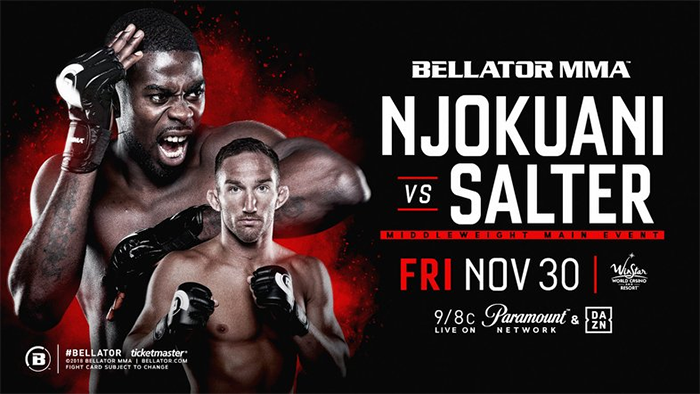 Bellator 210: Njokuani vs. Salter is scheduled to take place on November 30, 2018 at the WinStar World Casino and Resort in Thackerville, Oklahoma, United States. The event was to feature a middleweight bout between Melvin Manhoef and Chidi Njokuani as the main event. 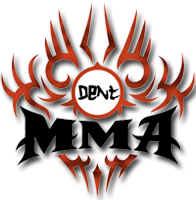 However, on November 1, it was announced that Manhoef had withdrawn from the fight due to injury and was replaced by John Salter. It was announced on October 17, 2018, a featherweight matchup between Jeremy Spoon, who makes his Bellator return, and Juan Archuleta. On October 26, 2018, it was reported that David Rickels is scheduled to face Bomba Vasconcelos at the welterweight bout at this event. It was announced on October 29, 2018, a women's flyweight bout is scheduled between Bruna Ellen and Kristina Williams at this event. On October 30, 2018 it was reported that a middleweight bout between Joe Schilling and Jose Alfredo Leija would take place at this event.